Dextress Hair is a truly unique salon in the suburbs. Our amazing ambience combined with professional Hair services sets us apart from the rest. We use and recommend the most advanced quality products.... you deserve only the best. Acheiving great results is what Dextress Hair is all about. Whether you require a blow wave or a new stylecut & colour. We can provide a package to suit your needs and budget. 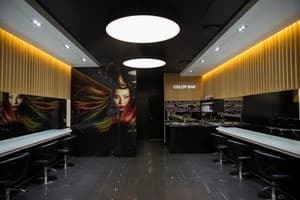 Our award winning Hair stylists will provide a thorough consultation, combined with the latest in techniques and fashion forward styling to acheive the look you require. Our Hair services include Stylecuts, Colouring(women & men), Special Occasions& beautiful hairstyles for your Wedding. Transform your everyday look into a catwalk fashionista. I've only had my first visit, and I'm definitely going back. Not only was I happy with my hair colour, it was the atmosphere and experience which are the most important things to me. I loved the head massages and all the girls seem to be really professional in the way they spoke to each other and handles their clients. I felt really comfortable discussing what I wanted with my hairdresser and when she was busy others make sure I had a drink and a magazine. I just hope this wasn't just a good impression the first time and next time is just as good! 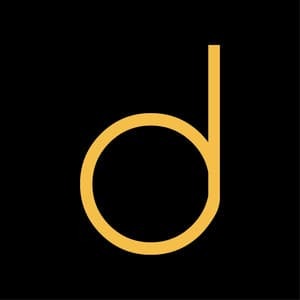 I have been coming to Dextress for almost five years and have never had a bad experience with any of their stylists. My hair is the best it's ever been and I finally have a style and colour that suits my face, age and personality. They go over and above to look after their clients and I will never go anywhere else. What a wonderful experience?? this is my first visit to Dextress and I can not be any more impressed with the staff and great customer service I received, not to mention my amazing hairstyle. After an essential oil massage, wash, treatment, another massage, cut, style and great advice, I could not be happier. Thank you to the wonderful staff. I will most definitely be back?? Hi Lauren, Thank you for your kind words in your review. We are very pleased that you enjoyed your experience at Dextress Hair. We are a very passionate team of hairdressers who love looking after our guests from the moment you walk in the salon. See you soon. Your curls rock! I would not recommend this business. I went there for a hair cut on my long hair and came out looking nothing like what I expected... My hair is now shoulder length when I stated and showed that I liked my hair long (they were down to the middle of my back) and I cannot wait for my hair to grow to not go back there for a haircut!... So disappointed! I actually cried when I got home and registered how bad my hair looked! I have wavy hair, I asked for layers, a little of the length off, a side fringe, I actually showed pictures of what I was after. Disappointing customer service. Expensive and had to wait 30mins as they were behind. I found this saloon the worst experiences I have had a any salon. My hair has now all snapped and a complete mess. I tried to tell the staff and was spoken to very rudely. Better salespeople than hairdressers and the prices are ridiculous for what you get.